To be a thought leader is to be influential, and to be influential means all eyes are on you in your industry. And that’s a pretty good place to be. But getting to that point means a lot of elbow grease. You have to be in touch with the movers and shakers in your industry and have access to the right resources to really make an impact. Luckily, if your site is built on WordPress, you have a slew of tools at your disposal to make the often grueling process of building a solid rep a little bit easier. Being a leader in your industry means having a long-standing reputation of credibility. But before you can start enjoying the sound of people singing your praises, you have to make sure your online presence is, in fact, credible. Unfortunately, a lot of sites out there don’t do any of these things and instead convey a standoffish vibe. They focus on selling and spend very little energy on showing who’s behind the site or who their products or services are even meant for. It’s cold, impersonal, and ineffective. The sidebar features a prominent “About Me” section, which gives you the prime opportunity to show off a photo of yourself and a brief writeup describing who you are, what you’ve done, and why people should listen to what you have to say. And it’s all right there above-the-fold. Credibility established in a split second. Don’t just publish often, publish well. That is, gone are the days where publishing a so-so 300-word blog post every day is going to be your ticket to success. In fact, it’s a much better idea to publish just once a week if it means you’re really going to say something worthwhile. High-quality content is everything. Seriously. You need it. And you need to make sure that content is on-topic and relevant to your niche. Basically, you need to offer industry insights and a perspective no one’s thought of before to really stand out in your field. I’m not going to lie and tell you that’s an easy thing to accomplish, but it’s still something you should strive for if you want to be a true thought leader. 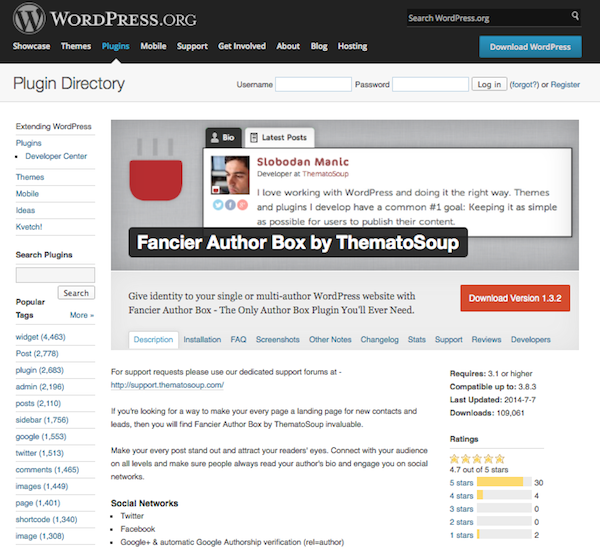 A good way to contribute and share your thoughts is to use the basic blogging features of WordPress to write posts. But a post with all text will be a bit bland and won’t attract the kind of attention you can. You can spice up your posts by including relevant images or galleries, however. You might even want to try out a plugin like WP Inject, which helps you find and insert Creative Commons images sourced from Flickr and Pixabay without having to navigate away from the WordPress dashboard. This goes back to the credibility issue discussed earlier, but it really merits its own section. Authorship has become a key factor in building thought leadership. Getting credit for your work is imperative. I mean, how else are you going to build this awesome reputation as someone to listen to in your industry if no one knows that killer article you wrote was written by you? Your first step is to set up Google authorship. It requires a little bit of linking and inserting code on your site — no big deal. The idea here is to connect your Google+ profile to the content you produce all across the web. Make this connection and your articles will appear with a byline in the search results. And if you just so happen to be in the searcher’s G+ circles, your photo will appear as well. Fancier Author Box by ThematoSoup. Straightforward, simple, and totally eye-catching. This plugin is easy to set up and lets you display your bio in a prominent yet non-intrusive way. It also offers automatic Google Authorship verification and plenty of spots to link to your social accounts. WP About Author. This is a really quick way to set up author bios on your site, since it pulls directly from user profiles. You can select from quite a few color options to match your theme, too. Author Box After Posts. Another simple option that lets you display a bio, custom avatar (rather than the Gravatar), and up to 10 social links. All of this setup comes in particularly handy when you write often — and not just one your own WordPress site — or you manage a multi-author blog. When you guest blog on other sites, having authorship established will mean your byline will appear in the search results for those pieces, too, even though they’re not published on your own site. And if the blog you’re guest writing for uses an author box as well, you’ll need to make sure you have your Gravatar set up through WordPress. This will make certain that your author photo and bio appears below your guest posts, further solidifying your status as a valued industry expert. Being a thought leader means having something worthwhile to say. But it also often means having something worthwhile to promote or sell. To get the word out right, you need to employ a call-to-action whenever appropriate. It’s simple and effective. And note how it encourages signups with not only updates, but also with a free download? Influencers know that giving something away for free captures attention and demonstrates a belief in their products, services, and thoughts. You can implement something similar on your own site using a call-to-action plugin like WordPress Calls to Action or Scroll Triggered Boxes, which pop up when a visitor has scrolled down to a specific point on your site. Or you may find integrated CTAs into the body of your content a better way to go. A small button or banner strategically placed within a post will prompt a visitor to sign up to your newsletter or complete some other task while they are in the midst of enjoying what you have to say. Why wait until they’ve reached the end when they’re more likely to click away, right? Most newsletter platforms like MailChimp, Constant Contact, and iContact offer WordPress plugins to make building your list easier. The best thought leaders across every industry embrace discussion. Comments are an absolute must on your blog as they act as your opportunity to invite feedback from your audience. This feedback is invaluable. Not every comment is going to be, “You’re so amazing!” but you will find that many people will offer insights you haven’t thought of. You’ll find that engaging in discussion with your readers helps you to grow closer to your audience and come up with even more things to write about in future posts. It’s the discussion that makes a website a living, breathing thing, and WordPress lets you take part in this in a straightforward way. The built-in comment system is pretty great. Just make sure you have Akismet enabled and that should do most of the spam filtering for you. If you want a comment system that offers greater customization, you might want to try something like Disqus or CommentLuv, which allow for greater control over how comments appear and how discussions are handled. Threaded comments and replies, email notifications, subscribe and RSS, comment aggregation and social mentions, along with expanded moderation are just some of the features these plugins offer. One of the biggest components of being a thought leader is being an active member of social media. By and large, this is where your target audience spends their time so it would be beneficial to you to put in some face time there as well. I’m not just talking about sharing your latest blog posts and calling it a day. Rather, you need to be an active member of the online community. This means reaching out to other industry leaders and engaging with them in discussion. It means answering questions when asked and soliciting responses from your followers on a particular topic. WordPress can be incredibly helpful in facilitating this. Of course it’s a good idea to have Jetpack installed so you can use its nifty Publicize module. This lets you automatically share your blog posts across the social networks you specify. It can even include custom text if you want. Digg Digg. Made by Buffer, this social sharing plugin adds a floating share bar that can be customized to feature the sharing buttons for just about every social network and social bookmarking site out there right now. ShareThis. Social sharing buttons and social analytics all rolled up into one. 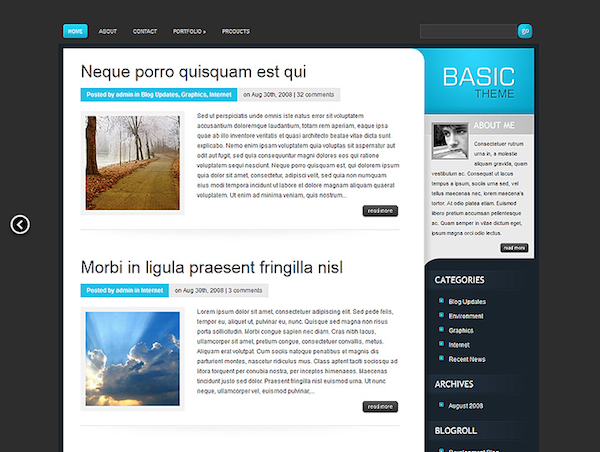 Highly versatile and practical for just about any WordPress site. Shareholic. This one’s a little different than the rest listed here in that it lets visitors find content to share on social bookmarking sites. It can really help expand the reach of your content. Making it as simple as possible for your readers to share your content is the mark of someone who knows what they’re doing. Attaining thought leadership is a real achievement. And it’s not easy. But by using the tools that are available to you in WordPress, you can make your platform and related plugins do some of the heavy lifting for you. So why not take advantage? Thanks for an in depth article and all those much appreciated links. And don’t forget… the new Dr Who will soon be with us. Thanks for the nice comment, Keith. And I can’t hardly wait! I agree that quality trumps quantity when creating content. Thus, I strive to post once a week and usually try to create an original video or image to support the text. This is very time consuming but it has helped me grow my following and email marketing list significantly. I also personally use CommentLuv Premium on my site which not only eliminates spam but encourages people to comment because it highlights one of their posts as well as their twitter handle (if I allow it) 🙂 This is great because it rewards the commenter and makes it easy for myself and others to interact with that person as well. WP Inject looks really cool. I will have to check it out! Thank you for such an insightful post. Have a great day. What I have come to really appreciate about Elegant Themes is the diverse topics covered in these blog posts and Brenda yours, like many, I have found so very helpful. I am now having to manage my time better to try and test / implement all the great information that is shared here. So happy to hear you’ve found it helpful, Wilf. Best of luck to you! Great article Brenda – you have captured the most important ingredients such as Google Authorship (we use the WordPress SEO Yoast Plugin), having an “call to actions” of value, social share buttons, a great and appealing blog, and most important encouraging discussion – engagement is what it’s all about. I will put in another vote for – Fancier Author Box. We use it regularly. 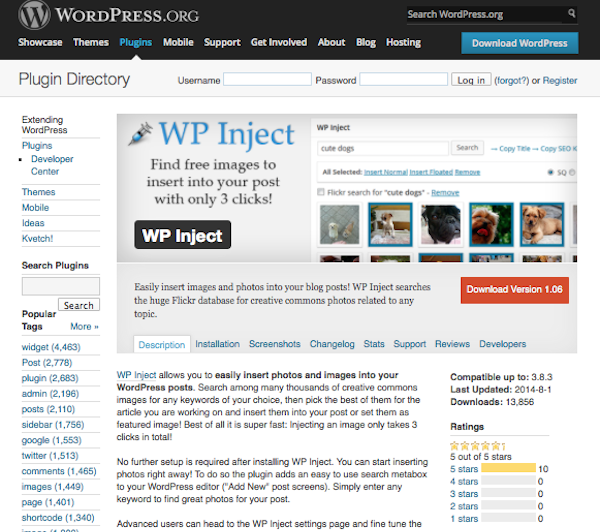 ..and WP Inject looks like a valuable plugin too.. I didn´t know about WP Inject, but it sounds like a good idea to give it a try. Thanks Brenda. Hi Brenda, something to note; the plugin ‘Digg Digg’ has not been updated in a year. Wp inject is what i’m looking for!! A fantastic article, some great points in this post there are a few things we do already but, as we are ever improving our website some of these solutions will guide us to better consumer interaction on our website. It is so easy to take your eye off the ball, so this post will help get us back on track. Thank you for great advice and an informative post. Really helpful, with links to great resources that I will try on my own blog. Thank you.